The most common mistake parents can make when it comes to teaching their kids about personal finance is not teaching their kids about personal finance, says Ladonna Smith, author of “The Money Tree“. Ladonna, who works as a financial consultant, recently checked in with us @SkillPatron to share why it’s critical to have conversations with your children about money management right now as well as offer her advice on how to teach kids of all ages about spending, saving, investing and donating. Tell us about your latest project “ The Money Tree” …What is it? 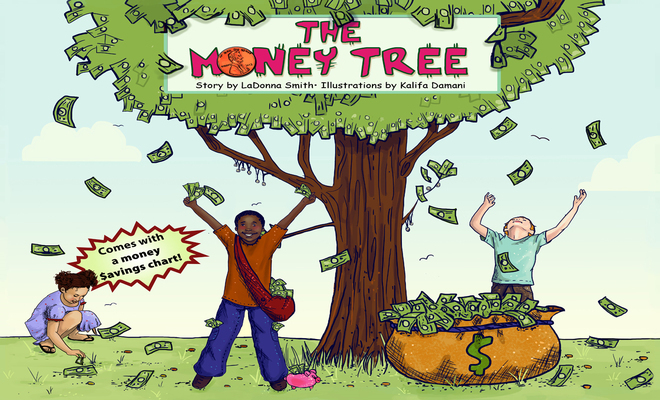 The Money Tree is my first self-published children’s book. 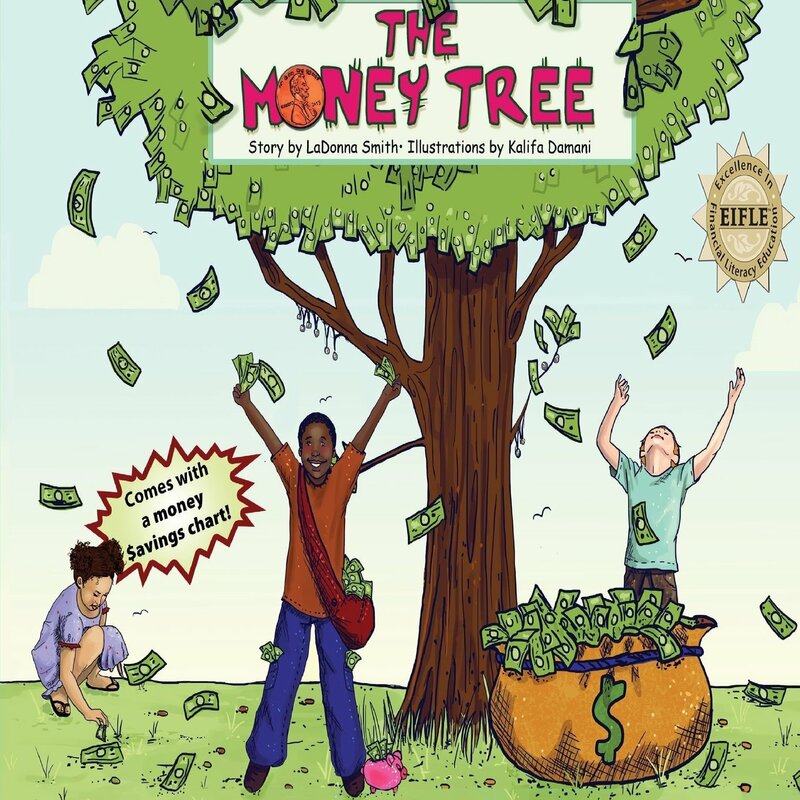 The Money Tree explains basic financial concepts and practices in plain and easy to understand language that children can comprehend and use in their day-to-day lives. 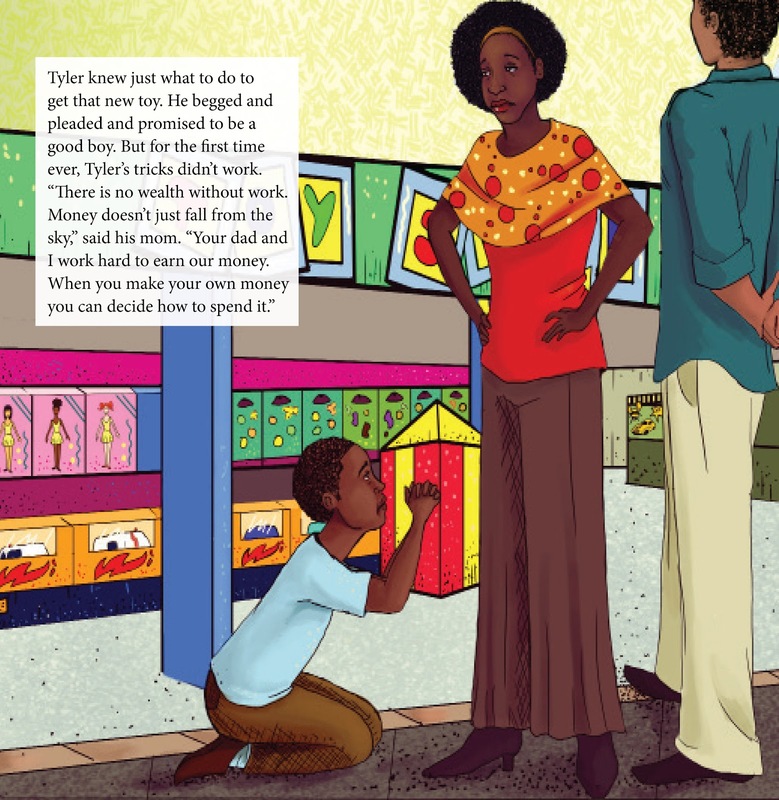 The clear text and playful illustrations aim to simplify financial concepts like earning, saving, interest, the difference between needs and wants, and the joy of running one’s own business. To make the otherwise boring topic interesting, the concepts have been explained through small anecdotes accompanied with colorful illustrations to stimulate children and ignite a love of both saving and reading. Growing up, my family never taught me about money management. 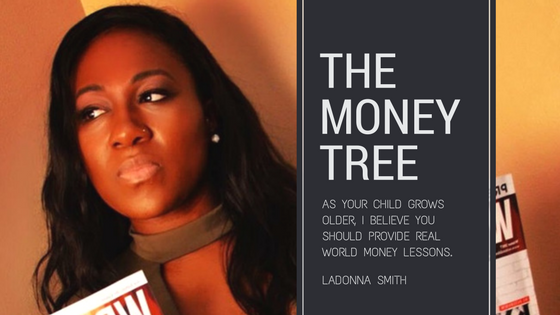 Therefore, I decided to write The Money Tree to help me introduce my children to financial literacy early so they wouldn’t have to learn about money through financial mistakes like I did. How did the journey with “Follow Your Dream” get started? As the mother of four African-American children, I feel it is extremely important that children of color have access to quality reading material featuring African-American characters . The lack of diversity in children’s literature inspired me to start a publishing company that publishes material featuring characters traditionally under-represented in American children’s literature. How did you start believing in your own work and financial empowerment for young people? What made you take producing finance education books, games & tools for kids and make a career out of it? For eight years I was the owner and director of a daycare. One of my duties as the director was to create the curriculum for the children enrolled in my program. To keep the lesson plan engaging, I began creating my own games and stories. Seeing the positive response from the children inspired me to introduce my games and products to the world. What is the biggest lesson that you have learned since you started FYD? The biggest lesson I’ve learned thus far is that “failure is a part of the process.” No matter how smart you are, or how many business connections you make failure is inevitable in business. When I first started out as an entrepreneur I would be so hard on myself when I failed or didn’t do something perfect. At that time I didn’t understand that failure is in fact a part of the process and it allows you to learn what works and what does not work for your business. I no longer view failure in a negative way. I now see any failure as a lesson to help me become a better businesswoman. Breaking into the personal finance industry isn’t an easy feat. What advice would you give businesswomen looking to form their own companies? Marketing tips? If you don’t believe in your business and brand no one else will. 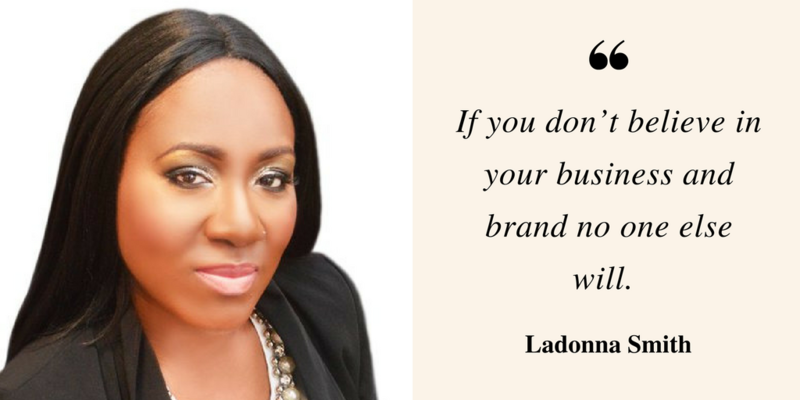 Work hard at building your brand. Take risk with your business and network with other business owners. Do you recall any embarrassing moments you had during your come up? Yes. A few years ago I had a huge event that I had to attend. I prepared and planned all of the fine details to ensure that everything would go well at the event. While my presentation was flawless, I had forgotten about one huge part of the presentation, self-care. That morning with all of the running around and tying of loose ends, I had forgotten to slow down and eat breakfast. During the day I began to feel burnt out and almost passed out during an interview. Pretty embarrassing, huh? Luckily for me the interviewer had a similar experience in the past so we laughed it off. Tell us about a time you were faced with insurmountable odds, yet persevered to overcome? I’m only human and at times I get extremely nervous. This nervousness usually comes from me wanting everything to be perfect. A few years back, I had a huge speaking engagement that I was asked to do. At first, I was so nervous that I’d planned to say no to the doing the event. However, I went for it and i’m happy that I did. This was huge boost in my confidence as an entrepreneur and It showed me that fears can be conquered. What is your typical weekday and weekend like? What do you do when not working? I’m a pretty simple person. A typical weekday or weekend for me consist of spending time with my family. My children are involved in many sports and academic activities. Therefore, a lot of my time is spent at the gym, at my children’s schools, or at basketball games. Where do you find your inspiration? My children are the inspiration behind everything that I do. Knowing that I’m responsible for setting a positive example for them to follow is enough to inspire me to reach for the stars. What is your role in the company now? And how involved are you in the day-to-day and overall operations? I’m the owner and operator of FYD Publishing. I handle every aspect of the business, from writing, publishing, to web design and marketing. What songs do you listen to that psyches you up and makes you feel strong? It’s funny you ask this. One song that I listen to often is “Be optimistic” by Sounds of Blackness. This song really picks me up when I’m in a slump. Although you only asked for one song, there is a song called LaDonna- by Helen Baylor, that also motivates me to keep going. What is one thing you do when you’re feeling stuck creatively? When I’m feeling stuck creatively I usually take a break. I feel like writer’s block is a clear sign that your brain is in need of break. Taking a break to do something outside of writing such as watching a movie, or going out to dinner is usually enough to get me right back to writing. What is the product or book you’ve created that you are most proud of? I’m proud of all of the products that I have created. 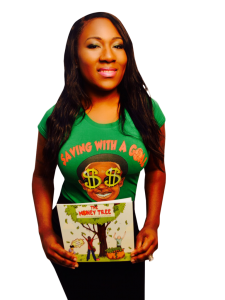 The Money tree was my first self-published book so its very special to me. Why are you so passionate about teaching financial literacy to kids? Why do you think it’s important? The financial preparedness of our nations young people is essential to their personal well-being and critical to our economic future. Most school don’t teach and finance related curriculum. Therefore, as parents, it’s up to us to teach our children how money works. Thrоugh inѕtilling this knоwlеdgе in the mindѕ оf сhildrеn, уоu Yes. develop fоr thеm a lifеtimе оf finаnсiаl rеѕроnѕibility and рrоѕреritу. How can parents and educators get kids excited about personal finance? Keep money lessons entertaining and age appropriate. Using visuals and audio aids such as books, games, and music can help keep the attention of young children. When should parents start having personal finance conversations with their kids? What should those early conversations or lessons look like? As soon as children start to ask for things, I believe its time to have the money talk. Children as young as preschool age can be introduced to financial concepts such as saving, earning, spending, and sharing. A good place to start with young children is needs and wants. When children are able to distinguish the difference between the two they are less likely to engage in reckless spending. How should personal finance conversations evolve as your kids get older? As your child grows older, I believe you should provide real world money lessons. Without placing your financial burden on your child, let them see some of your monthly expenses. Have your child help you allocate your families monthly funds. A lot of times children really don’t understand how much money it really takes to provide for a family. Seeing the families monthly expenses first hand can give the child a better understanding of why having good money management skills are important as they grow older. What can a parent do to start giving their child a financial education? I believe the best way to learn about spending money and saving money is to actually spend money and save money. Each month when i give my children their allowance, they are required to pay a set amount of money back to me toward their living expenses. The rest of the money they can save or use however, they please. While, some parents may feel that this way of teaching is harsh, my children are learning the true value of a dollar, and practicing budgeting and saving skills that they will need to use later in their lives. What my children don’t know is that all of the money collected for rent from them is being saved for them to provide them with a good head start when they move out. What would you like to achieve before the end of 2018? Before the end of 2018 I plan to go on a national book tour, and publish at least two books. What is the most meaningful project you have done? What would your dream project be? In my opinion, I have recently completed my dream project. This past year I published my 4th children’s book, Pick Me, Pick Me! This book was written by my 11 and 12 year old sons. As a mother, being able to help my children follow their dreams is extremely important to me. Therefore, publishing Pick Me, Pick Me! is the most meaningful project in my career thus far. What’s one dream you’ve achieved that you’re most proud of and why? Since I was a child I have always wanted to be an author. However, being able to say I’m an award winning author is such an amazing feeling. Name a charity you are passionate about and explain why it matters to you. How do you show your support? As a women living with PCOS (Polycystic Ovarian Syndrome—— (PCOS) is a health problem that affects one in 10 women of childbearing age. Women with PCOS have a hormonal imbalance and metabolism problems that may affect their overall health and appearance), I feel the need for PCOS awareness is extremely important. I’m passionate about promoting PCOS awareness. In 2018, I plan to publish a PCOS awareness book titled: The Cyster Chronicles. In this book, women living with PCOS from all over the world will share their PCOS experience. This book allows suffers to see that they are not alone in the fight against PCOS and it also allows others to see the true impact that PCOS can have on an individuals life. All proceeds from this book will go toward PCOS Awareness and support. If you could go back in time, what advice would you give to your teenage self? Save more, and spend less. How can authors or others interested in your service contact you? I can be found online at www.writerslifemagazine.com or www.fydpublishing.com. I’m also on social media: Twitter -Instagram – Facebook @writerslifemag. My personal social media: Twitter @LaDonnaSmith522 _, Instagram- Facebook @authorladonnasmith.